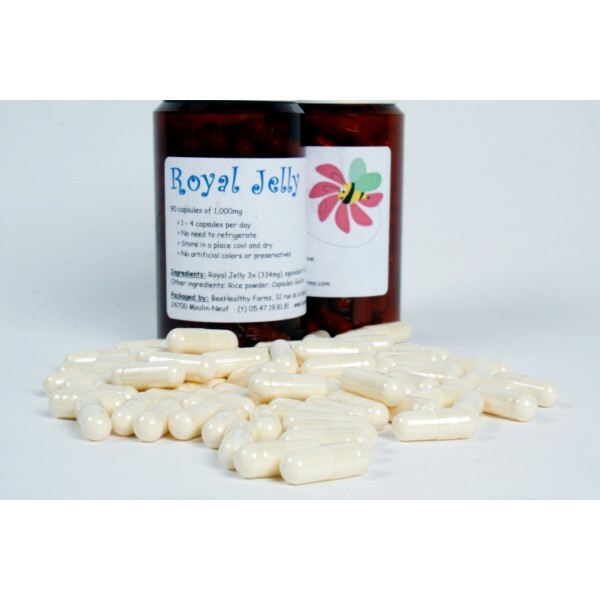 Royal Jelly, a nutritional product rich in vitamins, minerals, proteins and amino acids. 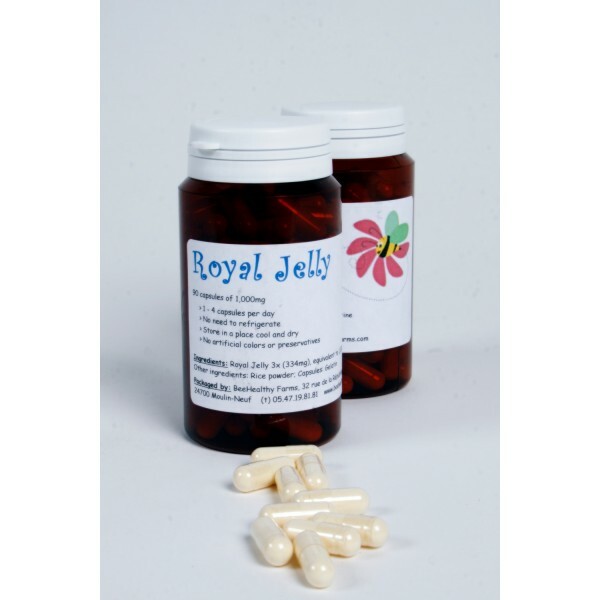 Put a pep in your step with our Royal Jelly 1000mg capsules. Rich in antioxidants, take Royal Jelly to keep healthy, strong and alert. Well known as one of nature's most complete foods, royal jelly is rich in vitamins, minerals, proteins and amino acids. It is specifically recommended for treatment of hypertension, hyperlipidemia and inflammation, and is being studied for a possible anti-tumor effect as well as a treatment for male infertility. Royal jelly may help the brain stay young. 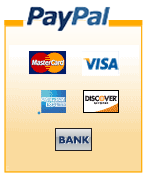 It contains a compound called acetylcholine, which is used to send messages through the nerve network. Levels of this transmitter decrease as we get older causing memory loss and a lack of concentration. Royal Jelly is also a good source of vitamin B5, which is held in high esteem for both its de-stressing and its anti-ageing effects. Proponents claim fresh royal jelly is the best but our capsules don't require special care, easy to travel, lightweight and each is guaranteed to contain at least 6% 10-HDA (immune system boosters). Contains 90 units of 1000mg of Pure Royal Jelly concentrate. Click here to find out the latest research on Royal Jelly.